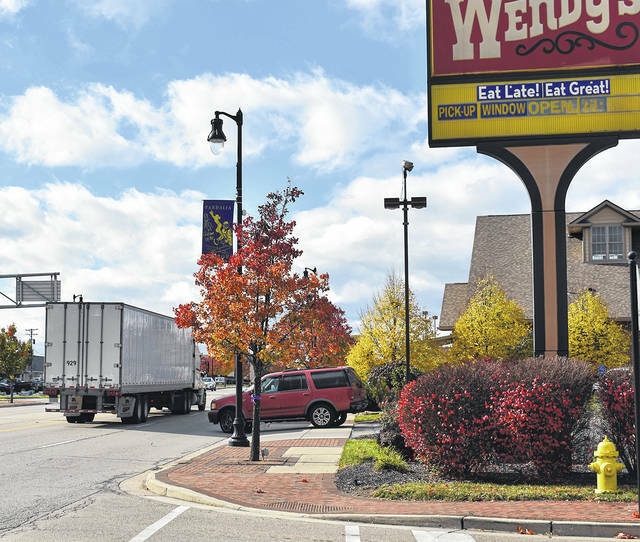 The Vandalia City Council designated National Road between Ranchview and Dixie Drives a Central Business District on Monday evening. 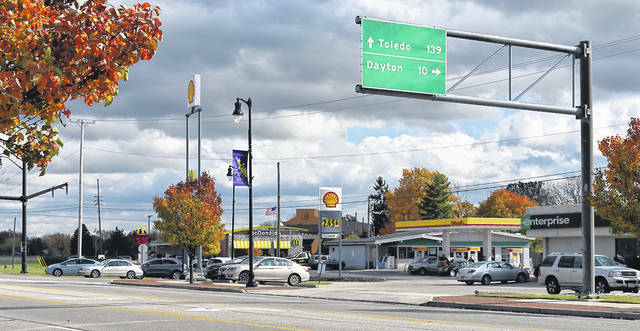 The measure will allow the city to lower the speed limit to 25 miles per hour once ODOT has given its stamp of approval. VANDALIA — Vandalia drivers will likely see a lower speed limit on National Road before the end of the year. On Monday, the City Council voted unanimously to declare National Road between Ranch View Drive and Dixie Drive to be a Central Business District (CBD). That designation, once approved by the Ohio Department of Transportation, will allow the city to reduce the speed limit from its current 35 miles per hour down to 25 miles per hour. “The purpose of establishing a Business District and reducing the speed limit is to slow truck traffic through town, make the corridor more pedestrian and bicycle friendly, and allow motorist additional time to view business in the district,” said City Manager Jon Crusey. With the reduced speed limit, officials estimate it will take an additional 16 seconds to travel the CBD with continuous travel flow. Crusey also noted that the city can revert the speed limit back to 35 miles per hour at a later date if circumstances warranted. Council also took action to transition the Vandalia Development Corporation (VDC) to a Community Improvement Corporation. The change was recommended by Law Director Jerry McDonald because the way the corporation was set up initially are now moot due to changes in state law. The change will transition the VDC to a statutory Economic Development Corporation under the Ohio Revised Code. This will streamline the VDC’s filing with the state, increase financial transparency, and allow potential businesses or developments considered for grants to keep information confidential. The VDC would have broad powers to buy, sell and lease real and personal property; to apply for and administer grants and to buy or sell land owned by political subdivisions without competitive bidding. Entering into an Economic Development/Government Equity (ED/GE) agreement with Inteva Products. The company received $70,000 through the county’s ED/GE grant process for its expansion on Crossroads Court in Vandalia. Approved a second reading of its appropriations for 2019 in the amount of $43.8 million in revenue and $44.8 million in expenses. That deficit is due to a pair of road projects that have grant applications pending according to Finance Director Bridgette Leiter. The Vandalia City Council will hold its next regular meeting on Monday, December 3. A study session will begin at 6 p.m. with the regular meeting to begin at 7 p.m. Both meetings are open to the public.